Best location in Guildford! Walking distance to everything - Guildford Mall, TandT, bus, theatre, restaurants, library, medical services and park. 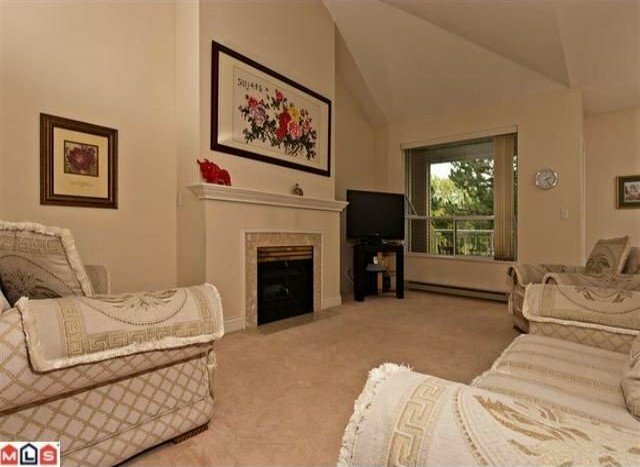 This unit is in the center of the complex, very quiet and overlooking pond and fountain. Huge 15 73 sqft upper level 2 bedroom townhome, the biggest unit in the complex with 9' ceiling throughout and vaulted ceiling in the living room, very bright and spacious. Feels like a single family house. Both two extra large bedrooms with ensuites, master bedroom also having private balcony and walk in closet. Second balcony facing pond. Amenities include clubhouse, swirlpool, gym and putting green. Rainscreened in 2005. Secure, gated adult 19+ complex. Call for viewing! Don't miss this one!